Q: What is the Cinderella Project of Maine? A: The Cinderella Project of Maine strives to promote a positive body image and increased self-esteem by uniting high school students in the state of Maine with fabulous and free new and gently used prom dresses. 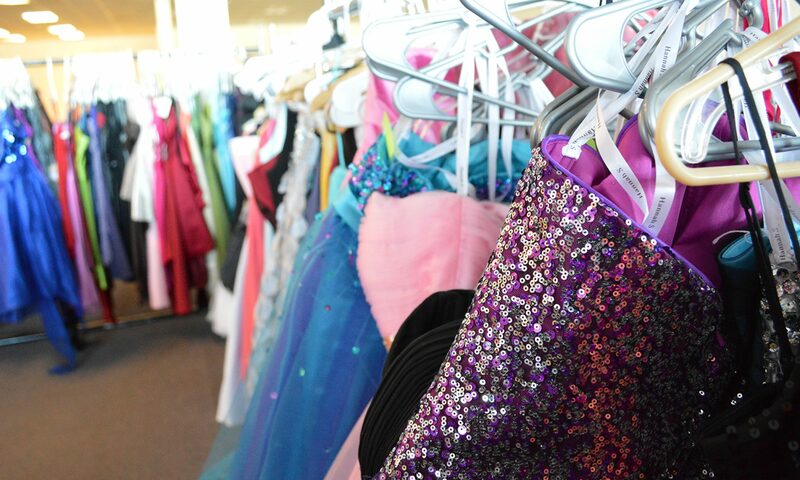 Founded in 2006, the Cinderella Project of Maine has “recycled” thousands of new and gently used prom dresses to girls all over the state. Dresses are taken in on donation, cleaned, steamed, and mended if necessary, and redistributed to high school girls in Maine absolutely free. Q: Is there a cost to get a dress? A: No! Everything- dresses, purses, jewelry, and accessories, is completely free! However…there is a catch. A: The Cinderella Project of Maine is happy to outfit high school girls from any school or community with everything they need to attend their prom, under one condition. Recipients are asked to “pay it forward” and do a good deed or random act of kindness for someone else. Everyone who is involved with the Cinderella Project volunteers their time, and hours upon hours are spent getting this project ready each year. There is no monetary cost to the program, but please consider giving back to your community in return! Q: Who can get a dress? A: At this time, the free dresses, jewelry, and accessories through Cinderella Project of Maine are only available to high school girls. We understand that sometimes middle school/junior high girls are invited to formal dances, but due to the popularity of the program we are limited to high school girls only. Q: What is the give away day like? A: Girls start lining up an hour or more before the doors open. Girls are then let in the building slowly to reduce crowding. However, the building gets very crowded, very quickly. The line starts to form a few minutes after the doors open as girls start choosing dresses to try on. We do have a strict policy regarding the dressing rooms and waiting line – 2 dresses at a time only. When people hold on to 10-12 dresses that severely limits the number of choices others have, it clogs up the dressing rooms, and makes everyone a little grouchy. Choose 2 dresses, get in line, try them on, and then choose 2 others and go to the back of the line if necessary. Q: How can I find out more about the Cinderella Project of Maine? A: Make sure to become a fan of our Facebook page and check our website frequently! You’ll see photos and updates there!